This features characters from Shin Shunkaden, X, Tokyo Babylon, Magic Knights Rayearth, Miyuki-Chan in Wonderland, and RG Veda. aww this picture is so cute! hehe i love mokona!....oh man your so lucky...i want that art book....clamp north side ya know...south side too! but i don't have enough money *sniff sniff* oh well....but this is such a nice scan i do not see why no one has commented on it! 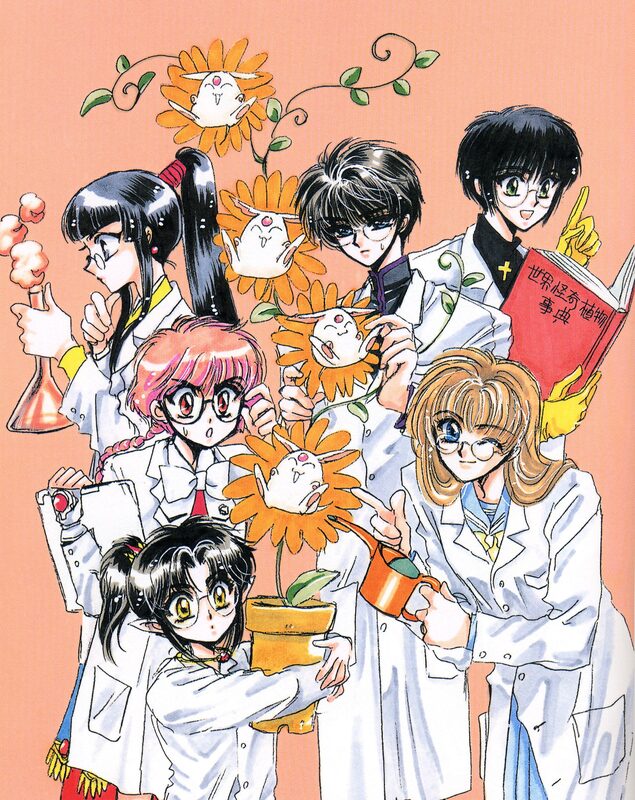 i just love clamp to death! anyway this scan is awesome and i love love love it! thank you so very much for sharing it! It sure is nice to see Miyuki-chan's more serious side for a change (most of the time she's all panicky and crybaby-ish as she always being transported to weird places). Hikaru looks very astounded and Kamui, well, he has that concerned looks as always (as you do). I never know that mokona born from flower...Amazing!